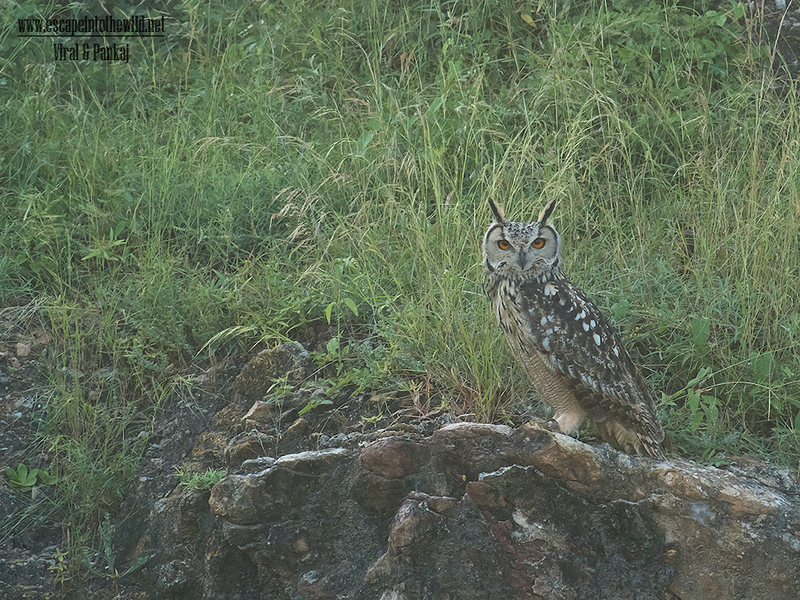 Rock Eagle Owl is large horned owl seen in Gujarat and India. We always observed its records from Surendranagar. That place is known as ‘Owl-place’. In September 2017, I got the chance to visit Surendranagar for personal reason. There I had meeting with Mr. Nirav Bhatt. He is well known birder from Surendranagar. He is known for his love for birds, particular raptors. I have communicate with him about my visit and asking him for a meeting if he is free. He is a busy person but finally we arrange to meet each other and went for birding. We went to ‘Owl-place’. After searching a lot, Niravbhai spotted the bird. He called me, suggesting to come unhurriedly to see the bird. As it was very shy it may run away from the place or it may disturbed and change place. Next day morning I visited the same place and find it seating on ground graciously taking sunbath. 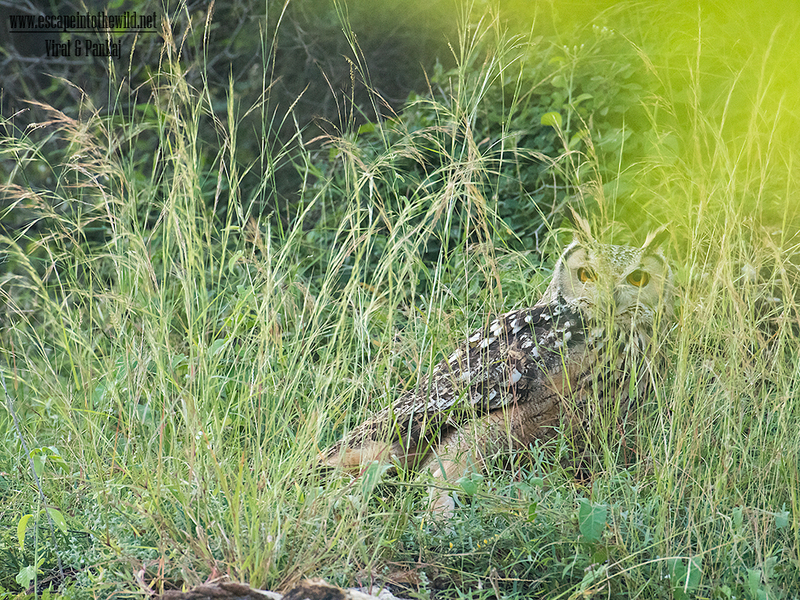 After some time bird saw me, rather than fly away it was trying to hide in grass …! It was like saying me ok I am Invisible now…!